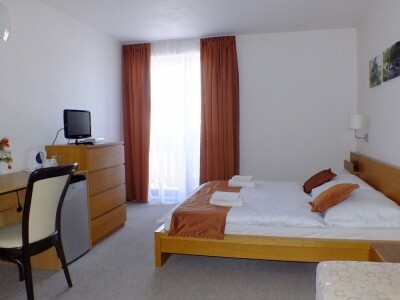 Pension Ďubo is located in Demänová with its own parking and accommodation is available in 3 x 2 bed room, 4x three bed room, 2x 4 beds in the room (including 1 suite), with a total capacity of 27 persons. Each room has a private bathroom with bath respectively shower, LCD TV and WIFI connection, some rooms are equipped with a kitchen. Guests have a sauna and winter ski and snowboard and summer bike rental. 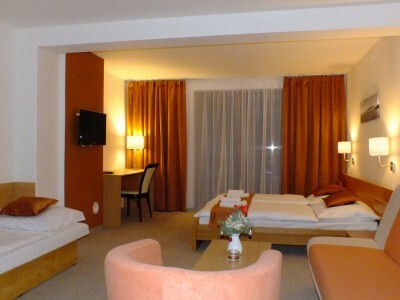 The room has one double bed and two single beds. Furthermore, it is equipped with a mini fridge, kitchen and bathroom (shower + toilet), LCD satellite TV and WIFI connection. The room has one double bed and one single bed. Furthermore, it is equipped with a mini fridge, private bathroom (shower + toilet), LCD satellite TV and WIFI connection. In the pension there are 3 double rooms with TV, WiFi, a separate bathroom, fridge and kettle.